Elegance in form and function are hallmarks of a Serge Mouille lamp. 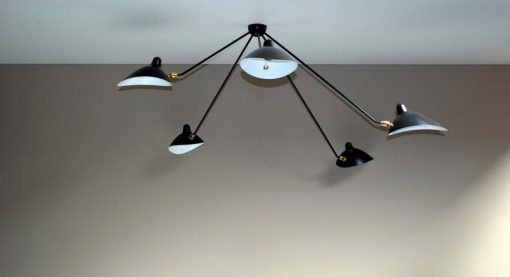 This ceiling lamp with adjustable shades on five fixed arms is at once an old and practical design that works well as a primary light source. Available in black and white. Brass swivels connect the shades.